Who's Ready For Another Bollywood Time Travel Movie? 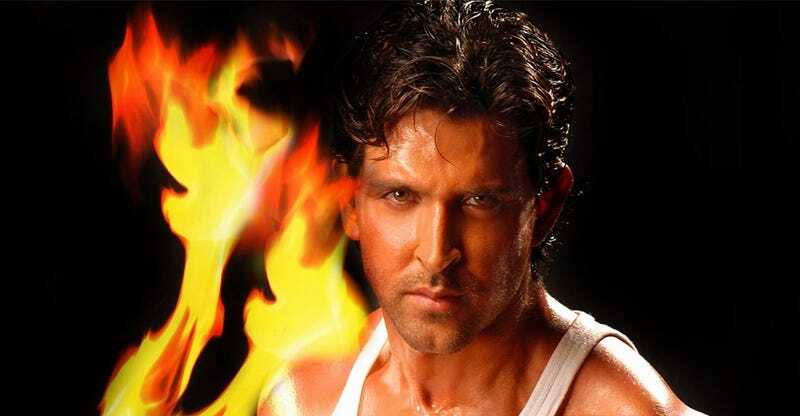 Hrithik Roshan, the star of the awesome Krrish films, has just signed on to star in an unnamed time-travel movie, opposite Deepika Padukone. And the best news? It's going to be directed by Nitya Mehra, who was assistant director on Life of Pi, Namesake and some other great films. No details yet about the movie's plot, except that it's "a sci-fi drama with a time-travel spin," and it has "a romantic angle which spans across timelines." And given the people in it, there are bound to be some completely cheesetastic song-and-dance numbers, hopefully with people jumping across the space-time vortex to the beat.